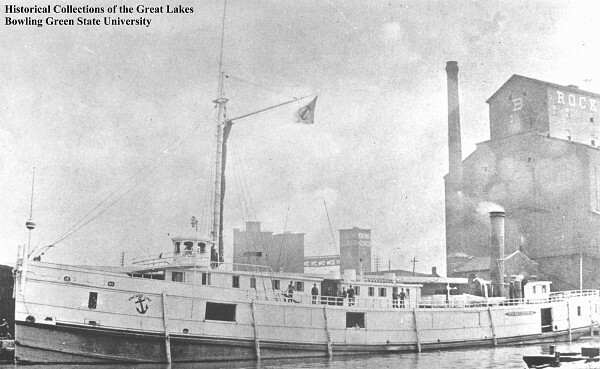 Built in 1868, the 236 foot steamer, Philadelphia saw nearly a quarter of a century of faithful and trusted service on the Great Lakes. Sadly, she met her fate on a chilly November day in 1893 during a collision with the steamer, Albany. Shortly after the collision, the Philadelphia succumbed to the depths and came to rest in 120 feet of water. Nowadays, she still serves the divers that visit the area to see her. She is mostly intact, upright on the bottom. Her cargo of cooking and heating stoves still line her deck and are also scattered around the hull itself. With her moderate depth, the Philadelphia is the perfect wreck for intermediate to advanced divers to spend a day of diving on. We visit the Philadelphia from Harbor Beach on the Go-Between.